This week, a study appearing in JAMA Pediatrics which finds truly frightening rates of destructive behaviors among gender non-conforming high-schoolers. Ok let’s define our terms. Gender non-conformity is not the same as gender identity or sexual orientation. Gender non-conformity is when an individual’s physical appearance or behaviors do not align with societal expectations. A male student can be gender nonconforming without being gay, though there are of course strong associations between sexual orientation and gender non-conformity. Now high school is just an incredibly stressful time for all kids. But add in gender non-conformity and what is traditionally a challenging period of life can become life-threatening. Researchers from the CDC used data from the Youth Risk Behavior Survey which was administered to around 6000 high school students in 3 school districts in Florida and California. 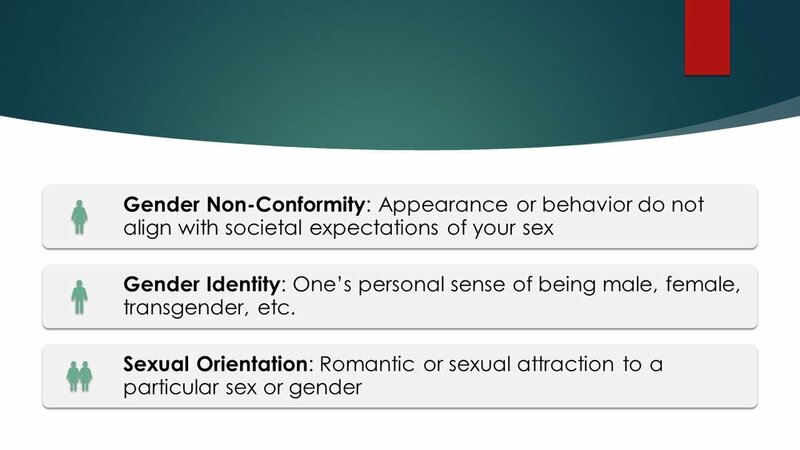 The survey asked the teenagers to describe how other people in their school would describe them, on a scale ranging from very feminine to very masculine. The scale was then used to create a measure of gender non-conformity – feminine male students and masculine female students. 20% of the students reported moderate to high levels of gender non-conformity. If you look at the total data, you get a typical picture of American High School. 5% of the students reported smoking cigarettes, and around 30% reported occasionally feeling sad or hopeless, which, well, yeah it’s high school. But all these numbers get worse, sometimes staggeringly worse, when you look at gender non-conformity. For example, 20% of gender non-conforming students reported attempting suicide compared to 7% of gender-conforming students. The data is bad for both sexes, but it seems to be worse for males. Even after accounting for sexual orientation, gender non-conforming males were 3 times more likely to have used cocaine, 4 times more likely to have used methamphetamine and 8 times more likely to have used injection drugs than their gender-conforming counterparts. These relationships were not seen in female students, underscoring that masculine traits in female students may be more socially acceptable than feminine traits in male students. Some of you may be thinking – is gender conformity a choice? If the students could just be more masculine or more feminine would it alleviate these problems? I think the important thing to realize is that to these students, conforming to gender norms that don’t feel true to who they are is an even worse option than enduring the harassment and bullying that they face each day. With that in perspective, it should become clear that supporting these students and encouraging their acceptance may bring high school back to what it is supposed to be. Rough. But bearable.